In 1939, Grote Reber discovered a strong radio source known as Cygnus A. It is one of the strongest radio sources in the sky. By the early 1950s it was shown that this radio source was shown to be related to a relatively faint object with a redshift placing it about a billion light years away. At that distance, the object appeared point-like (star-like) rather than extended like a galaxy or nebula. By the 1960s several similar objects were discovered, and they were referred to as quasi-stellar radio sources, or quasars for short. I’ve talked about evidence for galactic black holes before, and quasars are another source of evidence for these powerful objects. 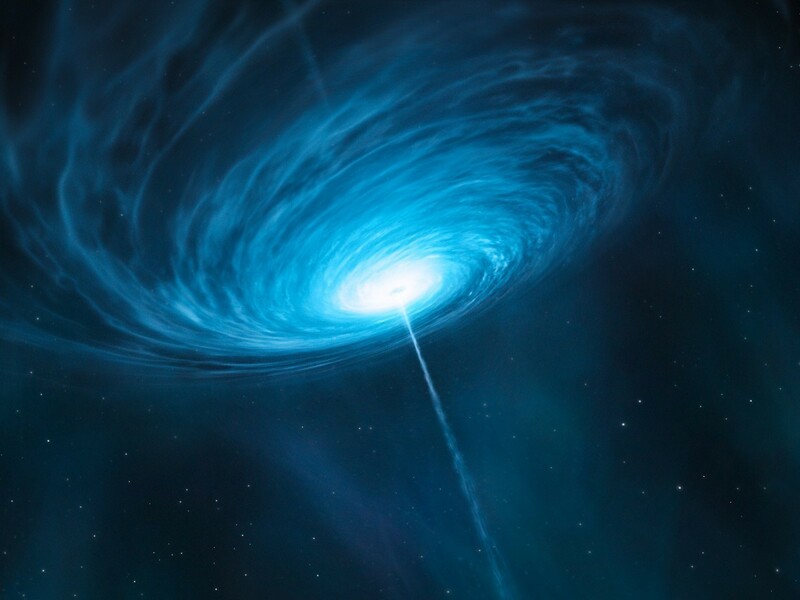 Of course it’s interesting to explore how quasars began as a mystery and have become evidence for one of the more exotic objects in the universe. So we’ll start today with an interesting relationship. Actually, a lack of relationship. 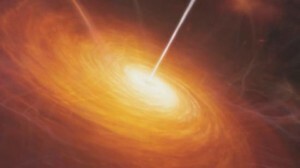 The first observed quasars were objects that were both radio loud and optically bright. This made sense, since one would assume the energy source driving the creation of radio waves also drives would also generate visible light. So we would expect a relation between radio loudness and optical brightness. Over time, however we found quasars that were optically bright, but radio quiet. 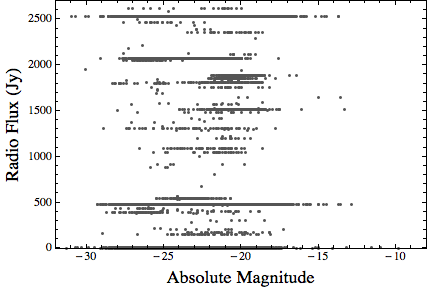 So what if we made a plot of the optical brightness of quasars versus radio “brightness”. This is what I’ve done in the figure below. 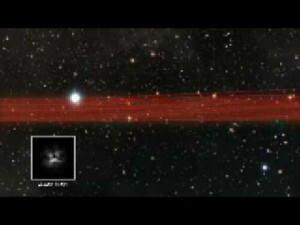 Radio brightness vs total brightness of quasars. One would expect a connection between the two, which would show up on the graph as a diagonal trend going from upper left to lower right. What we see is that there isn’t really a connection at all. Some quasars are radio bright, but optically dim, and vice versa. This means our idea of a simple energy source driving things isn’t quite right. Something more complex must be going on, and that is our first clue. To find out what is really going on, we’ll have to look at other sources of data. But that will be for next time.